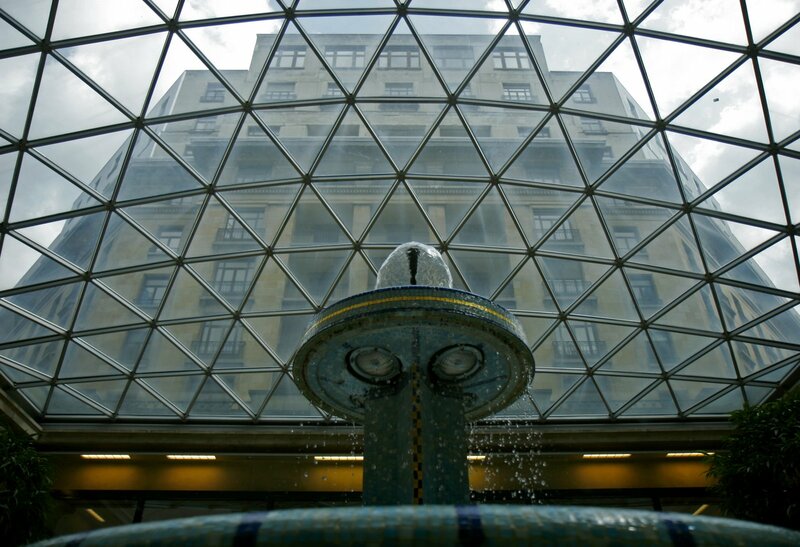 ← Good morning from Brussels! Since I was awake so early this morning, I took some time to explore my surroundings before going to class. Here are some things I saw. This is a Métro car coming out of a station near my place. The Métro is really convenient and reasonable cheap at €1.70 a ticket. I think the picture has a postcard sort of quality, so I toned it as such. Saturated colors! This is a street that runs perpendicular to where I’m staying. 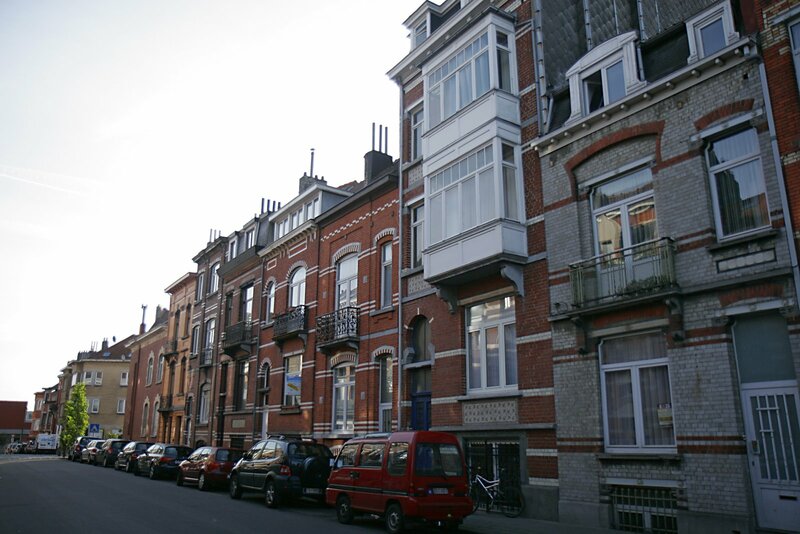 The architecture seems pretty typical of Brussels from what I’ve seen. My professor here said that most buildings like this are about 100 years old. 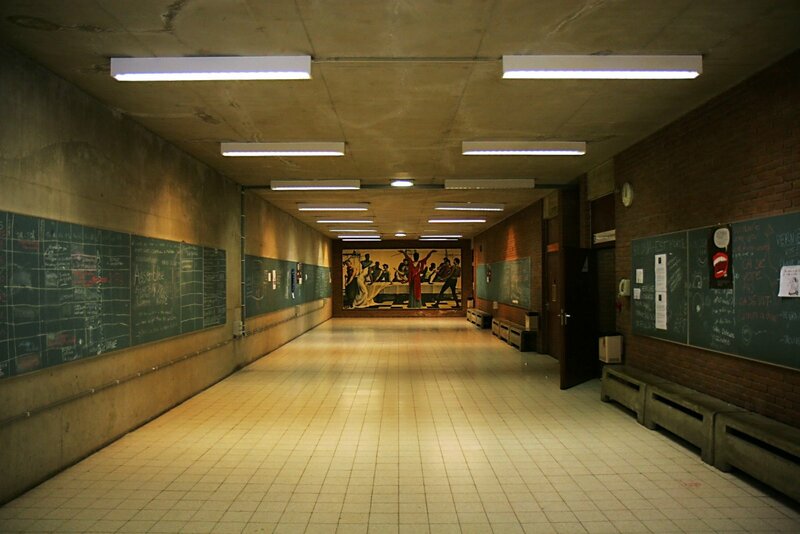 This is a hallway leading to lecture halls in Vrije Universiteit Brussel, the university next to my residence. There were no students around, so the building was pretty creepy and had this odd orange glow about it. The university’s Flemish name, Vrije Universiteit Brussel, means “Free University of Brussels.” To make things more confusing, there is a completely separate university called Université Libre de Bruxelles, which is French for “Free University of Brussels.” But the two universities are not related. This highlights the oddity of having two official languages in Brussels – French and Flemish. By far more people speak French, but officials signs are in both languages, as are announcements on the Métro. It makes the city a little extra confusing when you’re trying to discern a sign and first have to figure out which language it’s in. The funny thing is, a huge number of advertisements are in English because it seems to be a more common language among everyone. While on the subject of universities, I should also say that I do not attend either of the two schools mentioned above. In addition to the internship, I’m taking a class about European culture and reporting. This week we’re in class everyday, except for Thursday’s national holiday. Next week we start our internships which run Monday through Thurday, leaving Fridays for class. The class itself is taught at the International Press Center in Brussels. The building is right next to all of the European Union buildings. This is a fountain in the lobby of the building I’m taking classes in. The class ceiling opens up to the rest of the city. Pretty swanky. Oh and here is a slug I found outside of the Métro station near my place. I just thought it was cool. Tomorrow I’m going to a Holocaust-related museum just outside of Brussels. I anticipate it will be both really interesting and horribly depressing. 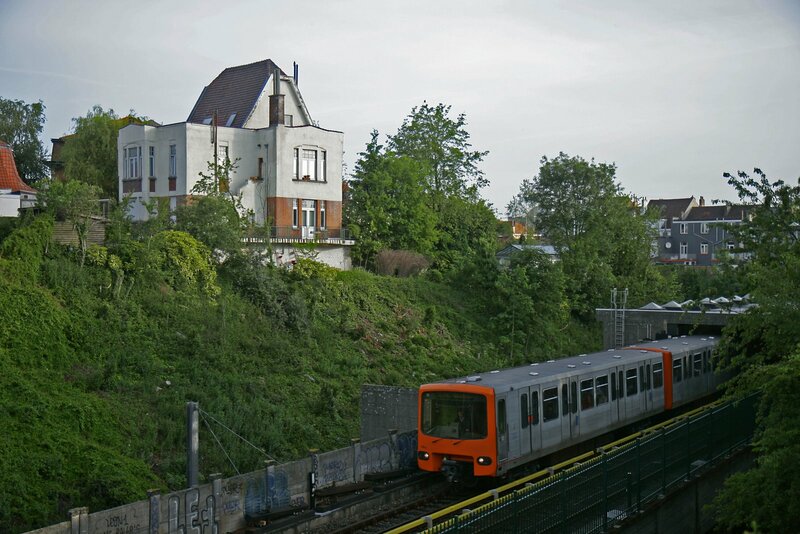 This entry was posted in belgium, brussels, flemish, french, metro, postcard, slug, university. Bookmark the permalink. 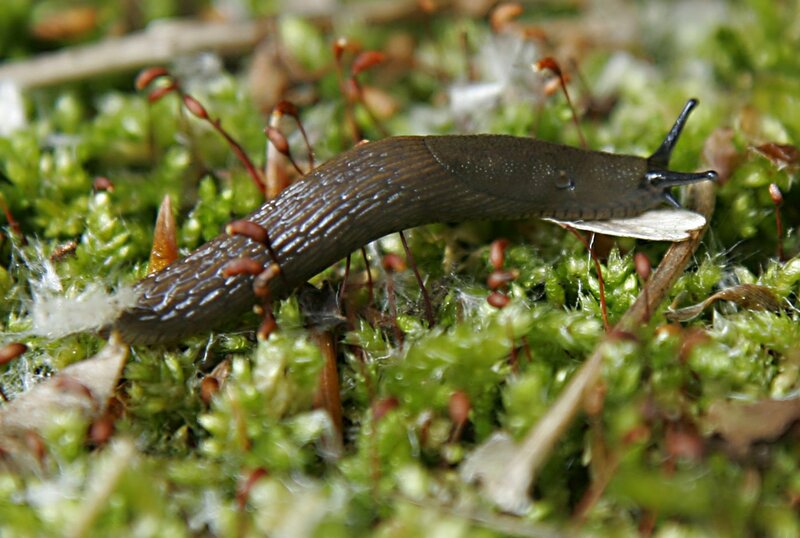 hi jim, i think this slug is pretty cool too what camera do you use now? your pics are great! I’m still using the 20d I’ve had for a few years, but now I’m mostly using a Canon 17-55mm 2.8 lens. Very nice glass.